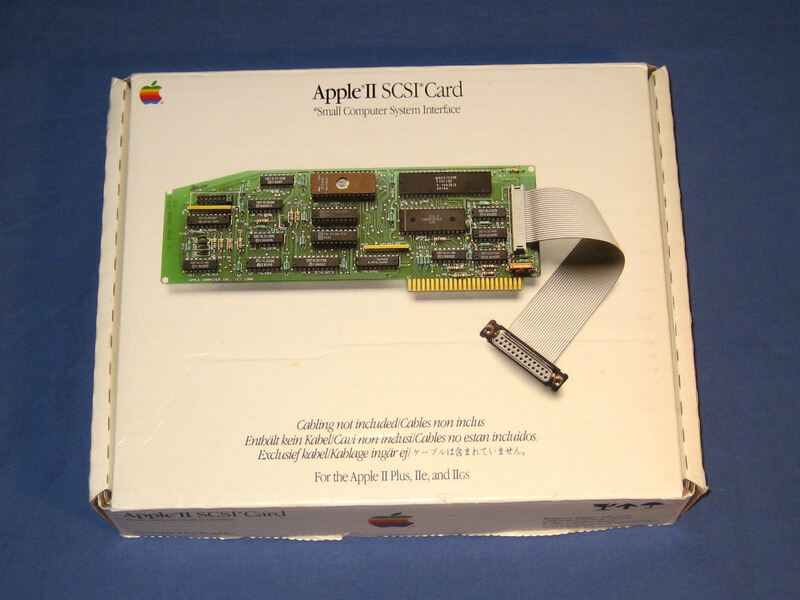 The box for the Apple II SCSI Card. 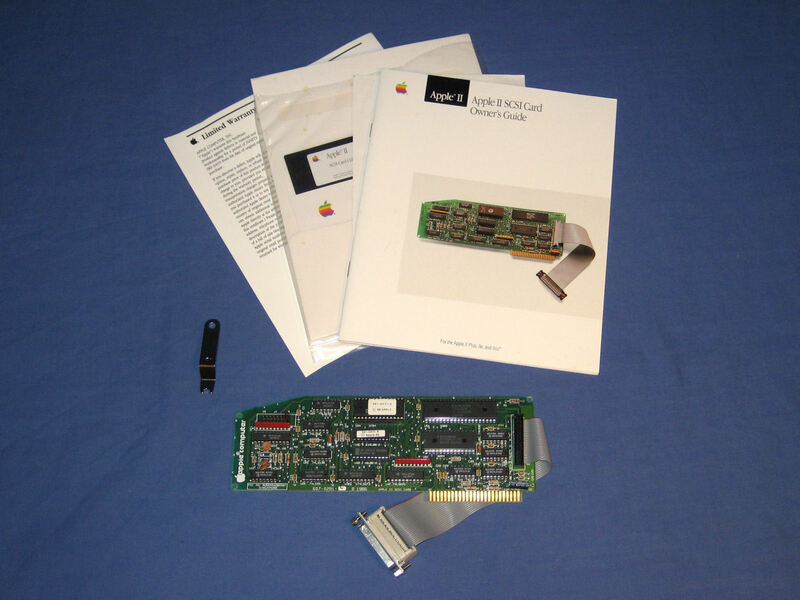 The box contains the card with connector cable, manuals, and a small apple branded wrench. The card itself. 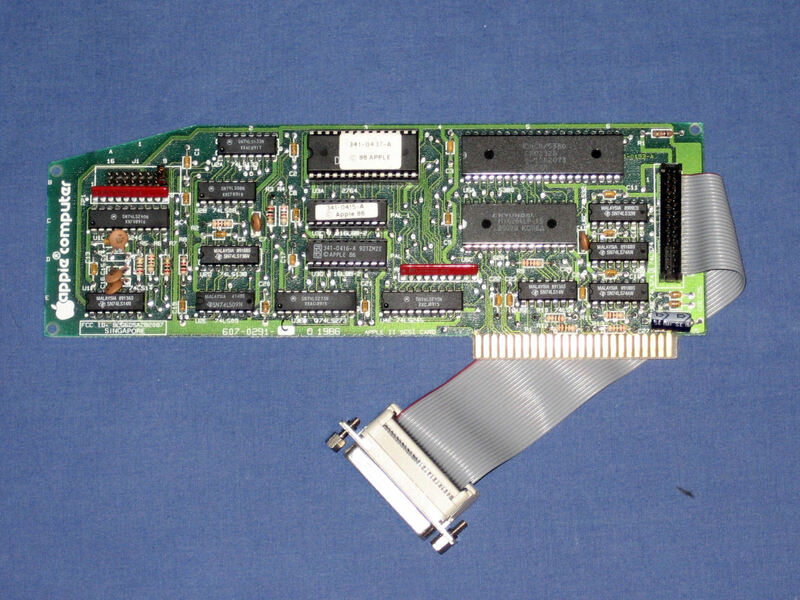 The block of jumpers at the upper left determine the SCSI id of the card.